I’m so pleased to feature Uri Scheft in my ongoing DALS family ritual series. 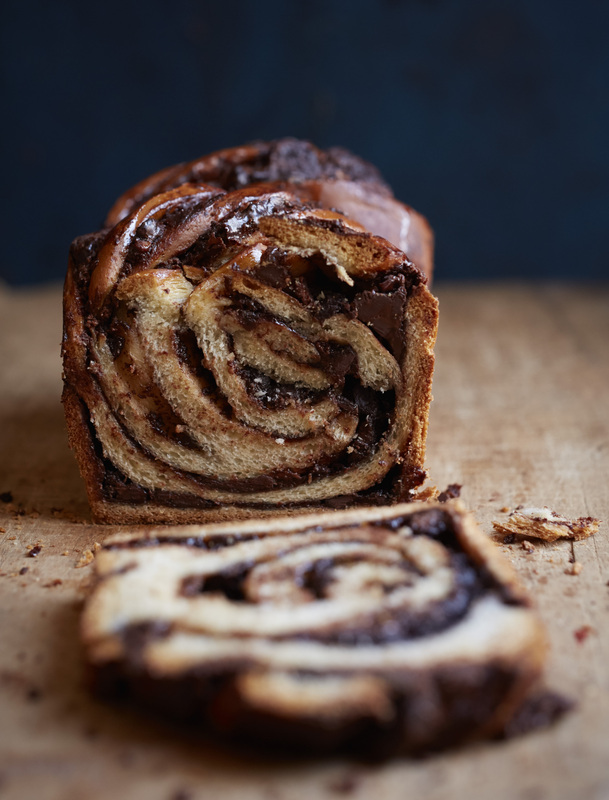 You might know Scheft as the man behind cult-favorite Breads Bakery in New York (and Lehamim in Tel Aviv), or because you were smart and listened to me last year when I demanded you mail-order his world-famous chocolate babka. 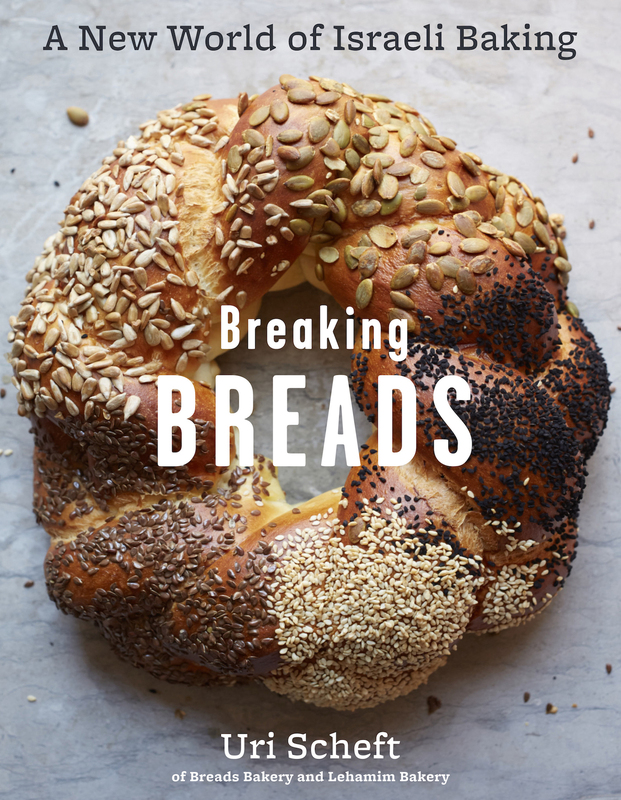 But if you didn’t, fear not, you have a chance to experience the magic through Scheft’s new book Breaking Breads hitting the shelves this week. 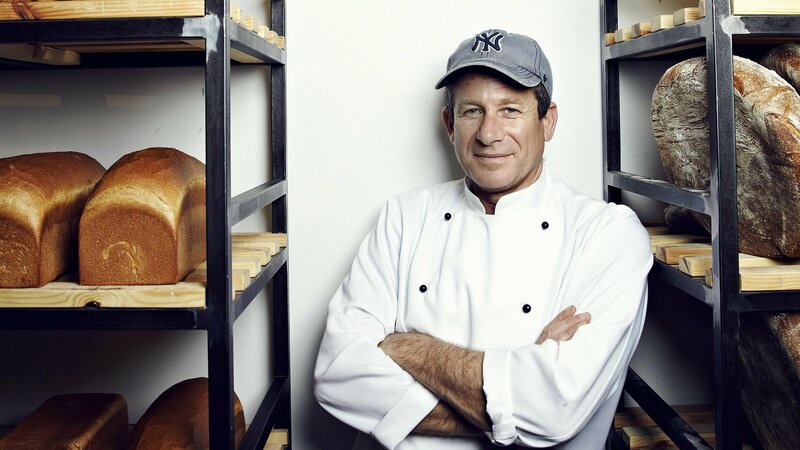 His book (the gift of the season for any baking enthusiast) is grounded in modernized Israeli classics — challah, rugelach, flatbreads, stuffed breads, and of course, babka — but reflect influences from his Danish parents, his Moroccan/Yemeni wife, his classical European training, and the trend-thirsty world-traveling Israeli inside him. “We are a nomadic people, don’t forget,” Scheft writes in the introduction. “And we always want to know what’s new and exciting, especially when it comes to good things to eat.” Scheft is the father of three children, ages 23, 21, and 11 months (!) and was nice enough to tell me about his most meaningful family ritual: Shabbat dinner. When I was a boy, every Friday for Shabbat, my mother, who taught kindergarten from our home in Israel, baked challah with the schoolchildren. The rich and sweet smell of Friday challah is to Israelis what the smell of pumpkin pie is to Americans at Thanksgiving — except that our celebration of family and friendship comes together at the table each Friday before sunset, instead of just once a year. This simple ritual of baking the challah and the pleasure that the children experienced upon holding the warm yeasty fragrance that filled our home…well, it’s a love story for me. I fell in love with the feeling of excitement that each Friday brought, knowing that when I opened the door after coming home from school, the intoxicating, homey, beautiful smell would greet me. That fragrance was the marker of something delicious, as well as the human connection that is sparked when you share something made with love. It’s what made me want to become a baker. When I had my own family, I didn’t keep up Shabbat the way my parents did. Their dinner wasn’t extremely religious but it was traditional — we kept kept kosher in the house, and it wasn’t until I figured out that I could do it my own way that it became a regular ritual again for me. My parents are Danish — I grew up in Denmark and Israel — and my wife’s parents are from Yemen and Morocco, so in our home, the meal is a big beautiful mixture of Middle Eastern and European traditions. But the most important thing for me, what I want to hold on to, is distinguishing sitting down on Friday from every other day of the week. I don’t work on Friday. We have all day to cook. It’s market day. Friday feels different and I wanted to to give the family what I felt with that challah growing up. And I think I have. I don’t want to use the word holy but something special is going on. A big part of this is because my kids are around the table. My older children, who are 23 and 21, have a lot going on, so when they can be there, it’s a nice way to catch up with them, find out what happened during the week. I want them to be part of the dinner. I ask them for ideas for what to eat, they’re part of preparing the dinner and setting the table. I want them to think about the ceremony of it all. In the end, everyone being there, everyone working together, that’s what makes a happy table. As for the dinner itself, there are a lot of dishes, and everything keeps coming to the table which is how my parents did it. That’s one thing I love about the way they did it — maybe it’s the European way. I am a little pushed out of the kitchen because my wife is a really really good cook, so I find myself doing more of the dishes and following instructions from her at the market — get this, get that. But in the end, our meal will be a lot of small salads, one of those meals where I have to keep reminding myself that there are a lot of courses and to pace myself. There will be spicy carrots, always two different eggplant dishes, garlic-roasted green peppers, fresh tomato salads with preserved lemons, occasionally some chopped liver, always a fresh cabbage salad with olives and lemon, and fish…the fish is a must. Every Friday, my wife makes what we call Moroccan Fish, which is a fish that is cooked in a hot tomato sauce. The first person to get to dinner gets the tail — which is the best part — and there’s a running joke about who will be the first to mention how spicy it is. My wife always says the same thing “I don’t live inside the chile! I don’t know.” We laugh every time. After the main course, there are another five or six dishes. Chicken, maybe two ways of chicken, lamb. It’s a lot. But we always have leftovers, so we don’t have to cook the next day. As for dessert, well at some point, it became very very important to me to prepare dessert at home for Shabbat — and not just bring something home from my bakery. To bring excitement to the meal, I like to make something sweet at the last minute and to hold it as a surprise. Sometimes I don’t know exactly what I’m going to prepare. Sometimes I do. It’s a big thing. The kids like that it’s a little bit of a secret. Thanks Uri. Now for a little teaser of Breaking Breads. Enjoy! Krembos. In Scheft’s words, a Krembo is a “mounded, chocolate covered, marshmallowy treat” (he uses coconut macaroons as the base) and is one of the many sweets in his book that would be eligible for his Friday night surprise. Another good solid choice? 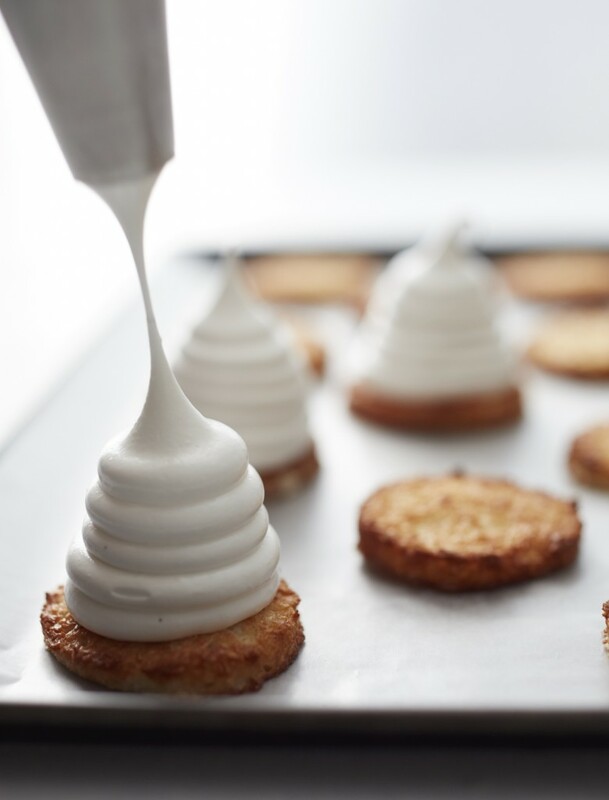 Tahini cookies — recipe below. Tahini is like the Middle Eastern peanut butter — in this recipe, the sesame “butter” gives the cookie a very tender, melt-in-your mouth quality. Makes about 40. From Breaking Breads, by Uri Scheft. 1 Sift the all-purpose flour, baking powder, and salt together into the bowl of a stand mixer. Add the almond flour and sugar. Using the paddle attachment, mix on low speed to combine, about 15 seconds. Then add the butter, tahini, honey, and vanilla, and mix on medium-low speed until the mixture is pebbly, with no butter pieces larger than a small pea, 2 to 3 minutes. Add the rum, if using. Continue to mix just until the dough is combined and looks like streusel. 2 Pour the sesame seeds into a small bowl and set it aside. 3 Line 2 rimmed sheet pans with parchment paper. Adjust one oven rack to the upper-middle position and another to the lower-middle position, and preheat the oven to 325°F. 4 Using your hands, roll the dough into small balls, each about the size of a large marble (you should get about 40). Dip one side of a ball in the sesame seeds, place it on a prepared sheet pan, and then lightly press it with your finger to flatten it slightly. Repeat with the remaining balls. 5 Bake the cookies, turning the sheets and rotating them between top and bottom racks midway through, until they are firm to the touch and just barely golden, about 8 minutes. The cookies will seem soft and look like they need more time to bake, but this is exactly when you want to pull them out from the oven. 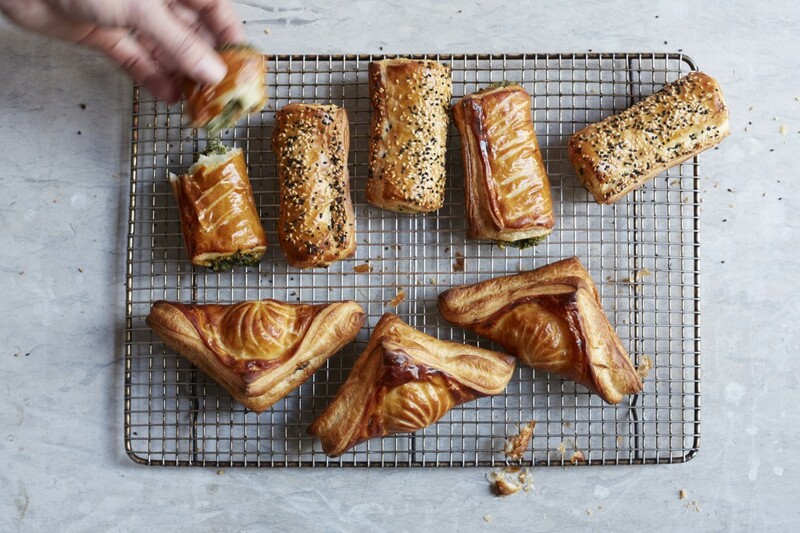 Remove from the oven and let them cool completely on the pans. Photo credits Scheft: Sadierae + Co; Babka, Bureka, Krembo, and book cover: Con Poulos. This is lovely (and I love this series), but I want the Moroccan Fish recipe! Perfect post…I can smell everything, taste everything and Uri’s words are so evocative and full of love for family and food…wonderful!